The next generation of leadership has been appointed to manage Jacksonville's most energy efficient home building company. 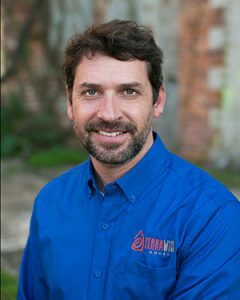 Current VP of Operations Nathan Lambert has been appointed President of TerraWise Homes. 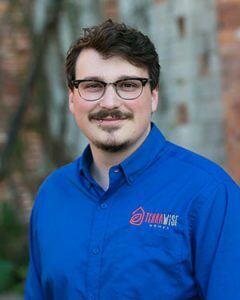 Nathan was the first employee hired at TerraWise and has been associated with the company founders, David and Melody Shacter since 2002 working as the Director of Operations at Harmony Homes. Nathan will lead the team and work closely with the Shacters who remain on the board in advisory roles for the company. Jac Shacter has been appointed Director of Operations and will oversee sales and all pre-construction activities. He has been active with the company as well from the outset, most recently as sales representative in Springfield. Jac was recently named to the Realty Builder Connection's "40 Under 40" list and has been around the home building industry for years as his parents launched Harmony Homes in 1994 and TerraWise Homes in 2013. "We are pleased to hand over the reins to Nathan and Jac who will take TerraWise to the next level as we continue building Jacksonville's most energy efficient and green-built homes," said Melody Shacter. "David will be focusing on land acquisitions and community development as well as assisting the TerraWise team with permitting and overall company advisory. I will be assisting Nathan in a part-time advisory role." Learn more about the TerraWise Homes team.